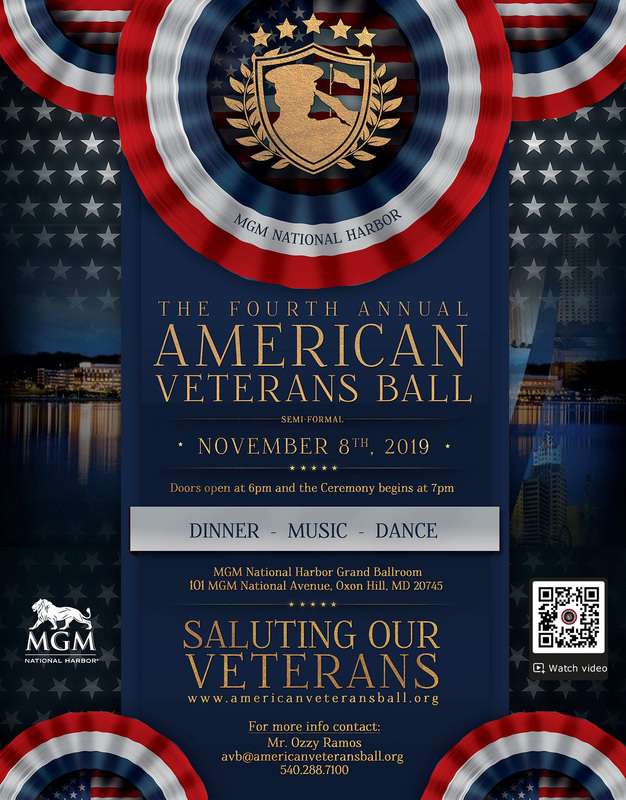 Ms. Elena Russo (Comcast NBCUniversal) will be the Mistress of Ceremonies for the Fourth Annual Salute to American Veterans Ball (AVB2019) on November 8, 2019 which will take place at the MGM – Casino & Resorts in National Harbor, MD. Elena’s television experience runs the gamut from professional sports and public affairs to law enforcement and fashion. Growing up the daughter of a Navy Captain, Elena knows the importance of public service. Beyond her work in the entertainment industry, Elena serves as spokeswoman for the Maryland State Police, a paramilitary organization that frequently honors those who serve our country. At Towson University, she shares her trade secrets with students who aspire to work in front of the camera or behind a microphone. Elena gained her live television experience while working at WJZ-TV for several years as a producer for the United Cerebral Palsy Telethon. Continuing as a freelancer, she worked for clients on live broadcasts such as ESPN, HBO, YES Network, NBC and most recently, for the Outdoor Life Network as the field reporter during the Cal Ripken World Series. Beyond hosting and producing CN8’s Newsmakers and Red Carpet productions in the Mid-Atlantic region for Comcast, Elena is currently working with Comcast’s Video On Demand producing a variety of community awareness programs.